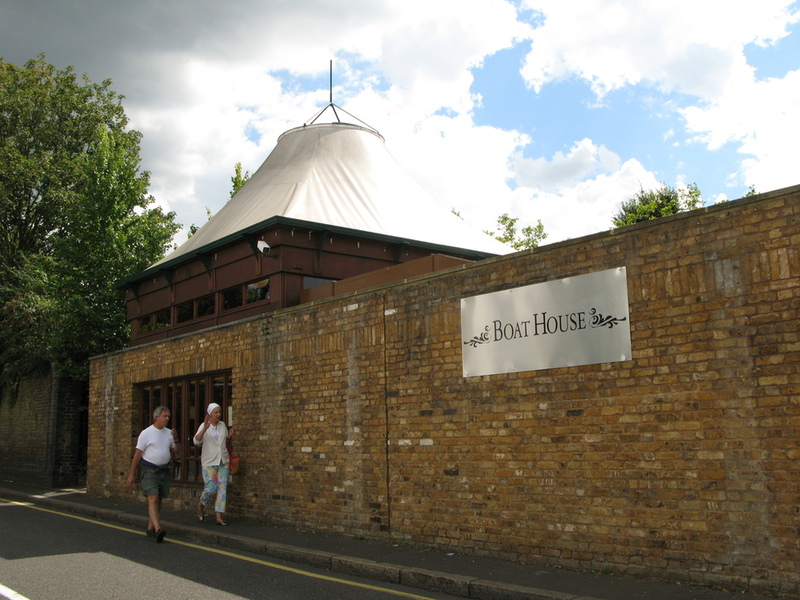 What used to be Jason's in Little Venice and then the Boat House is now called The Summerhouse. Open all year round, The Summerhouse is situated on the Union Canal a stone's throw from the famous Waterway restaurant, its sister restaurant, in Little Venice. There's a blue and white striped nautical theme in this seasonal pop-up establishment, with excellent seafood taking centre stage on the menu. Favourites include good old British fish and chips, swordfish steak, fish pie, mussels and halibut with béarnaise sauce, or transatlantic inspired specials such as New England clam chowder and popcorn shrimps with sweet chilli sauce. There is also a nice range of summery salads. It's not the easiest place to find, tucked away behind a red door and a long wall extending along the bank of the canal, but if you manage to hit off on a sunny Sunday for a waterside meal you'll feel as though you've unearthed a hidden gem. If you've got more than just your lunch hour to spare you can get on board for the boat trip - Jason's Trip run from Little Venice to Camden Lock, ideal for messing about on the river. The Summerhouse gyms, sporting activities, health & beauty and fitness. The best pubs near London The Summerhouse. The Summerhouse clubs, bars, cabaret nights, casinos and interesting nightlife. Where to have your meeting, conference, exhibition, private dining or training course near The Summerhouse. From cheap budget accommodation to luxury 5 star hotels see our special offers for The Summerhouse hotels, including The Caesar Hotel London from 91% off.